Wondering where to stay in Calgary? 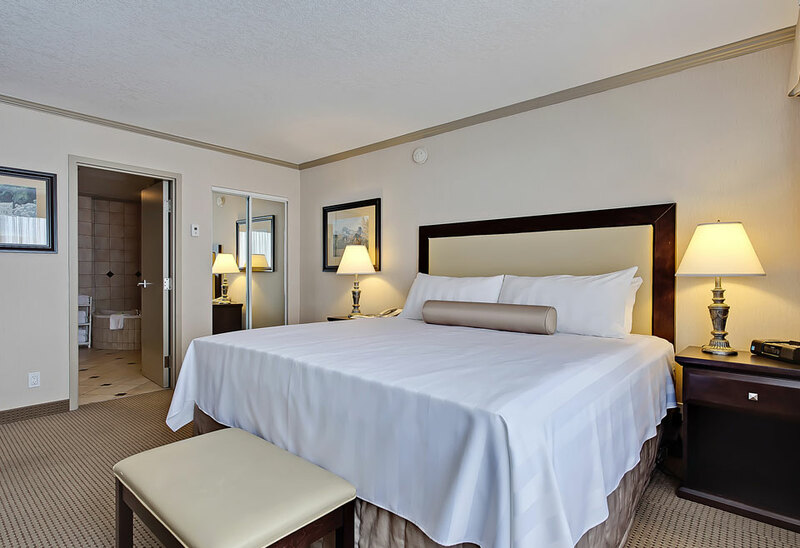 An attractive option for hotels around the Calgary airport, Best Western Plus Port O’Call offers stylish rooms and suites as well as impressive hotel amenities, including onsite dining and recreation for incredible nightly rates. 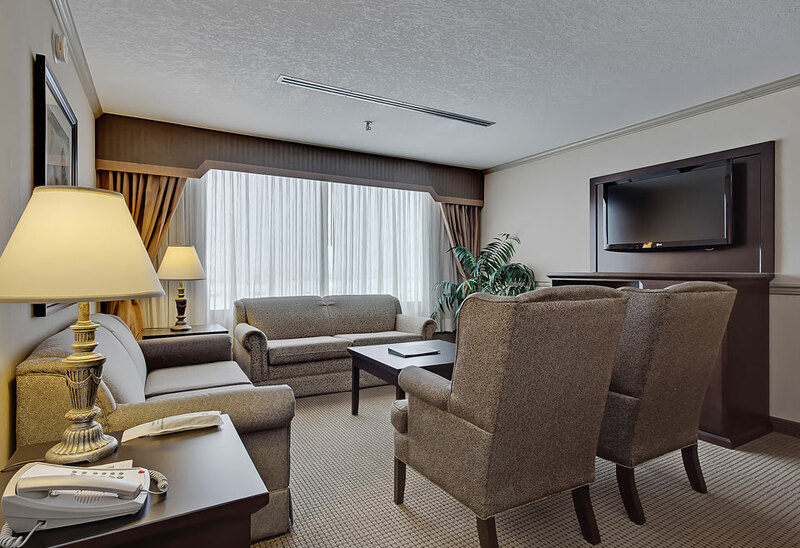 Our in-room and hotel features combined with our friendly staff makes us one of the best hotels around the Calgary Airport for families, corporate guests and leisure travellers. 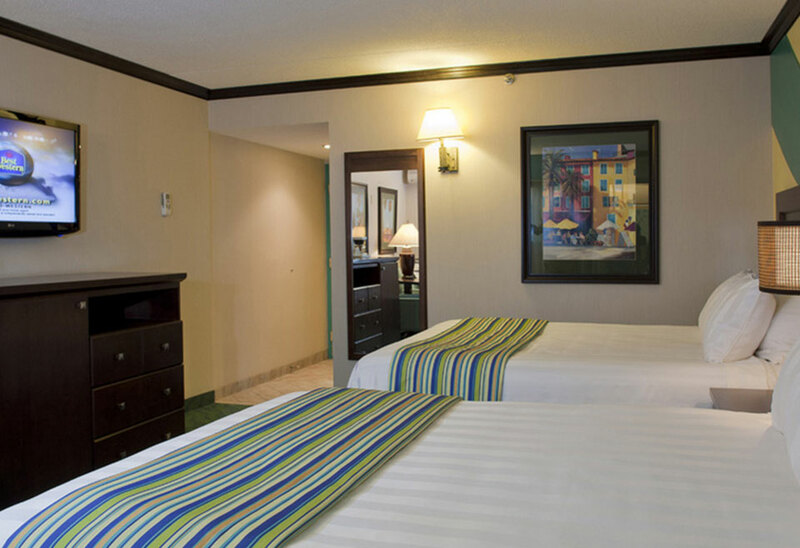 Enjoy free high speed Wi-Fi, a 42” flatscreen TV, a mini-fridge and microwave, dual vanities in the bathroom and our Ultra Clean Guarantee, which means every nook and cranny of your room is cleaned and sanitized just for you, right down to the TV remote control. 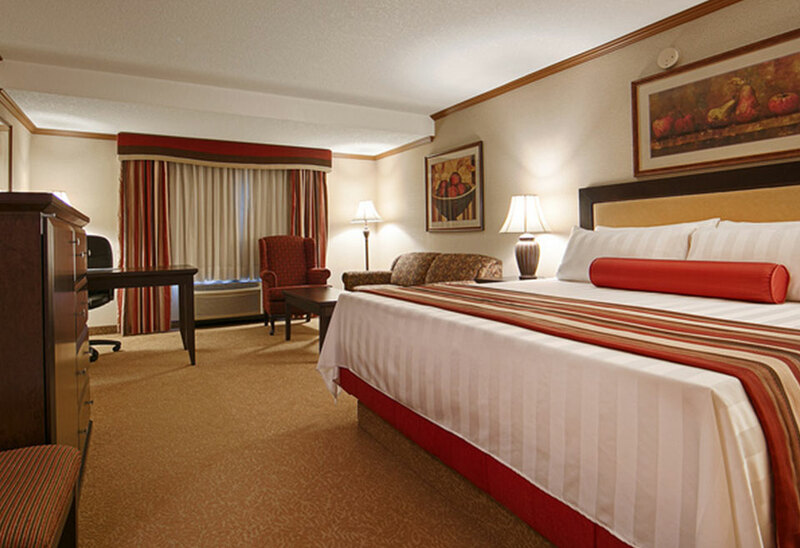 Book your stay at the Best Western Plus Port O’Call for incredible Calgary accommodation near the airport. Don’t forget to check out our special offers and packages, and we will see you soon in Calgary. 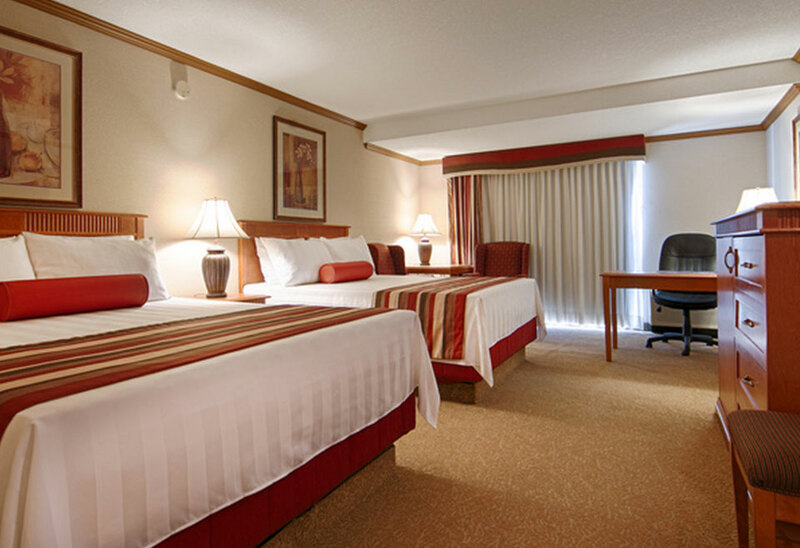 Settle into our comfortable Superior Queen Room, with plenty of space, a refined decor and two Queen beds for a restful night’s sleep. 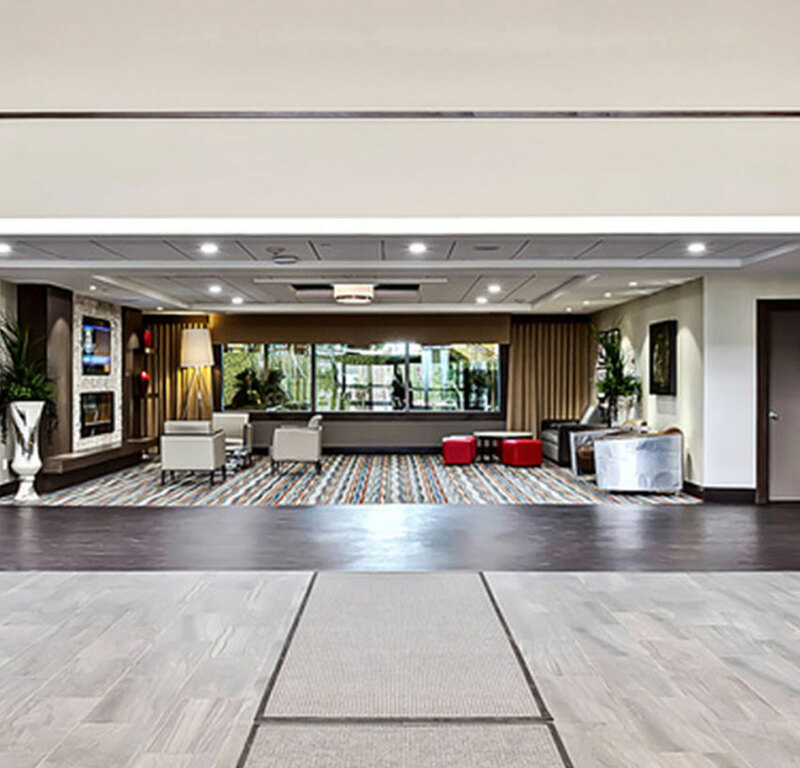 Enjoy all the comforts of home, including a mini-fridge, microwave, 42” flatscreen TV with HD channels, and a complimentary coffee station with free coffee and tea. Select rooms also feature an outside balcony with downtown and Rocky Mountain views. Escape into our stylish Cabana Room with exclusive pool-side access, featuring beach-inspired decor, two Queen beds and a 42” flatscreen TV with specialty channels, including The Family Channel. 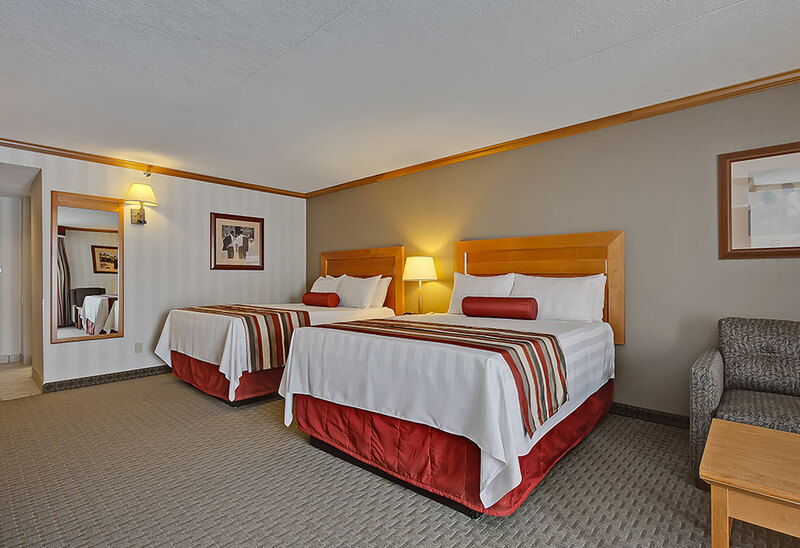 Ideal for families, this room includes a microwave and mini-fridge, mini coffee station, dual vanities in the bathroom, and free high speed Wi-Fi. Select rooms also offer a private patio area. Ideal for larger families, this over-sized room features two Queen beds and a pull-out sofa bed to comfortably sleep up to six guests. In-room amenities include a mini-fridge, microwave, mini coffee station, 42” flat screen TV with cable/satellite and dual vanities in the large bathroom. Select rooms include a aesthetic faux fireplace. Designed with couples and corporate guests in mind, our deluxe King suite offers a sanctuary for guests seeking a quiet and peaceful space to rest and work. Featuring a King bed, a work-station with natural light, microwave, mini-fridge and coffee/tea maker, as well as a 42” flatscreen TV with cable/satellite. The bathroom also features a dual vanity and cozy bathrobes. 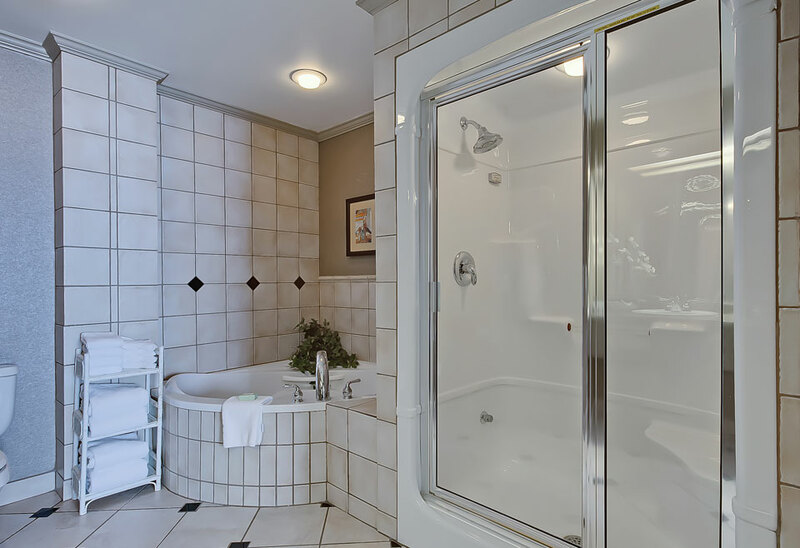 LLive in style and luxury in our Plaza suite, complete with an upgraded ensuite bathroom with a shower and a Thermo-Masseur bathtub for ultimate relaxation. Located on the 7th floor, this suite offers a private bedroom with a King bed, separate living and dining area, a mini-kitchen station with a small fridge, microwave and coffee/tea maker, as well as 42” flatscreen TV.